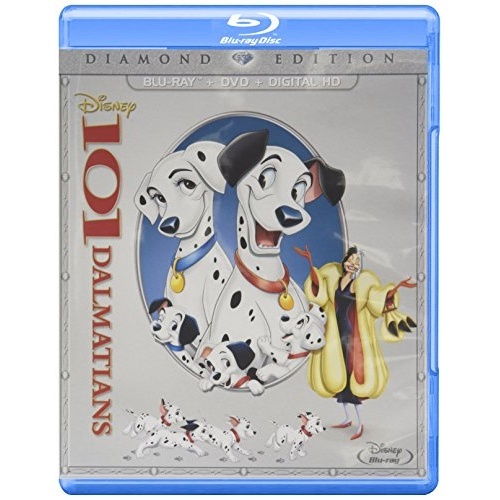 Pick your favorite spot to watch - anytime and anywhere - and get ready for a fun-filled adventure with the Diamond Edition of 101 Dalmatians! Pongo, Perdita and their super-adorable puppies are in for thrills, hilarious spills and an epic action-packed adventure when they face off with Cruella De Vil, Disney�s most fabulously outrageous villainess. When Cruella dognaps all of the Dalmatian puppies in London, brave animal heroes launch a daring plan to save all puppies from Cruella�s clutches! Unleash all the excitement and suspense of Disney�s 101 Dalmatians, a beloved classic you�ll want to share with your family again and again!